$109 Discounted Rate For Arkansas Real Estate School!! Spacious, luxurious suites are just the beginning. At the Governor’s Suites, you’ll enjoy world-class cuisine at our award-winning Table 28 Restaurant. You’ll work out in our state-of-the-art Powerhouse Gym. You’ll relax under the sun beside our gorgeous outdoor pool. 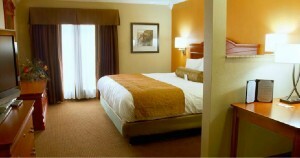 And, of course, you’ll be treated to a level of exceptional service found only at the best West Little Rock hotels. Click here for more information and to make a reservation at the discounted rate.